The fun of a new RAM, Jeep, Chrysler or Dodge vehicle doesn’t end after your purchase. Keep your ride looking fresh with our many available auto parts and accessories. 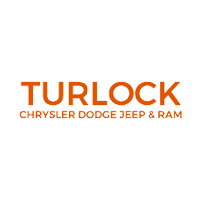 Here at Turlock Chrysler Jeep Dodge Ram, we offer the cream of the crop– high-quality RAM, Jeep, Chrysler and Dodge parts, made for your specific RAM 1500, RAM 2500, Jeep Cherokee, Chrysler Pacifica or Dodge Challenger. As a result, there’s a guarantee that our enhancements will work for your car. Who says you have to be a high-roller to trick out your ride? At our dealership in Turlock, California, we regularly offer some RAM, Jeep, Chrysler, Dodge part specials– Check them out! Then head to our parts department, speak with our experts, set up an appointment, and get ready to cruise the streets of Turlock in a head-turning, one-of-a-kind RAM, Jeep, Chrysler or Dodge auto.